A driver suspected of driving under the influence was arrested after driving the wrong way down Interstate 5 for miles and smashing through a police roadblock and into multiple vehicles, according to the Washington State Patrol. The incident occurred early Wednesday morning. A state trooper drove parallel to the driver and called to request a roadblock. The roadblock was set up on I-5 near Kincaid Street in Mount Vernon. The driver crashed through it and into several vehicles, including a semi-truck. The wrong-way driver – a 28-year-old Covington man – had to be extricated from his 1987 Pontiac Fiero by firefighters. He was taken to the hospital for treatment of injuries. He is in custody for DUI. He reportedly drove the wrong way for 19 miles. The people in the other vehicles were not injured. No policemen were injured. According to a 2012 report by the National Traffic Safety Board, wrong-way driving is vehicular movement along a travel lane in a direction opposing the legal flow of traffic on high-speed divided highways or access ramps. Almost every motor vehicle accident is unpredictable, but in the case of a wrong-way accident, those affected never see it coming. These types of accidents are particularly devastating because they often happen at high speeds in a split-second, leaving victims unprotected and with potentially life-altering injuries. 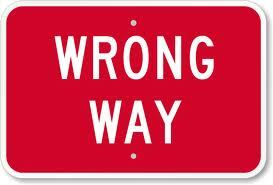 Wrong-way accidents can be serious and sometimes fatal. The most common injuries in these collisions are brain trauma (TBI), spinal cord injuries, broken bones, severe burns, and internal organ injuries. More so than in your typical car crash, the injuries and resulting medical bills and treatment can leave families with massive debt. 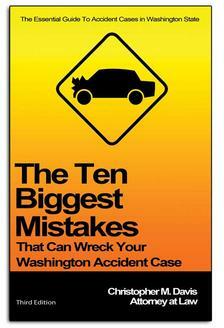 If you or a loved one was the victim of a wrong-way car accident, you’re likely wondering how to get back on your feet. Hiring an experienced personal injury attorney is oftentimes the first step in piecing your life back together, getting you compensation for the severe injuries sustained in the crash. If you or a loved one has been hurt in a car accident in Washington state, contact attorney Chris Davis and the team at Davis Law Group, P.S., at (206) 727-4000 to schedule your free legal consultation.